This is designed for those who: are recovering from an injury and want to get moving safely and to start practicing yoga in a small class size with close guidance; want to improve body awareness and breathing; want to optimize health and well being. The participant is encouraged to safely explore his/her own potential. Modifications are given to customize to any fitness level. Each session focuses on a different aspect of body and mind. 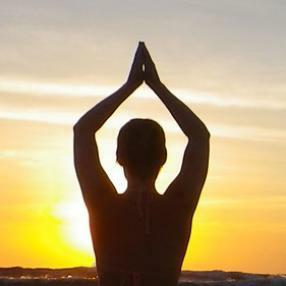 Community Hatha class that will leave you feeling invigrorated and ready for the week ahead! This class is specifically designed for triathletes. The poses used are chosen based on the biomechanics of swimming/biking/running, injury prevention and the demands of the core training program used by triathletes. The class will focus on body awareness, arm and core strength, shoulder and hip mobility and specific recovery techniques. The structure of this class is beneficial to all, not only those who are actively training for a triathlon. If you do sports and are looking to add some cross-training and deep stretching to your weekly regime, come check out this sports-specific yoga class! 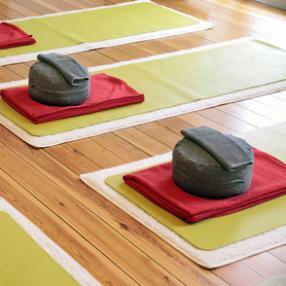 This class begins with a gentle Hatha Flow practice and finishes with a series of Restorative postures. A beautiful way to end your day and refresh for the week ahead.